Winter Care: Winter hardy to zones 10 to 12. In cold climates grow them in pots that can be moved indoors when freezing temperatures are expected. 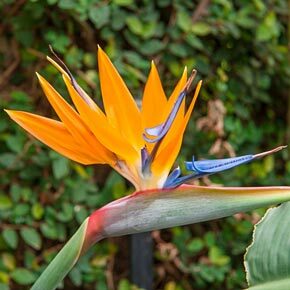 Flower Form: The spathe is a hard beak-like sheath from which the flower emerges. 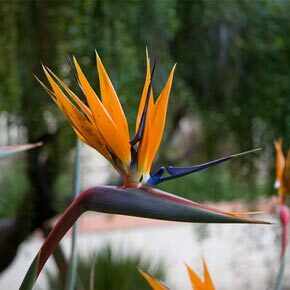 It is a right angle to the stem, which gives the appearance of a bird's head. The flowers emerge one at a time from the spathe. Foliage Type: Grey-green banana-like leaves grow about 3 1/2 to 4 feet high. Soil Requirement: Rich loamy soil and plenty of water. 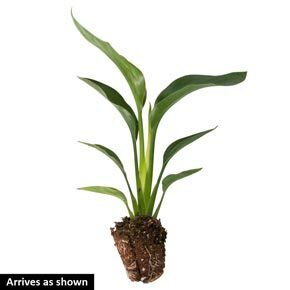 Once established, it is very tolerant and will thrive in most soils with very little water.